For every website developer, it is necessary to work with few popular tools. If you are developing websites for some time now, then you must be aware of the importance of some useful web development tools. For improving the web development process, you will have to work with some excellent web development tools so you can make things easier for yourself. There are countless web development tools available online that you can work with, and you should always select the perfect tools so they can help you with the web development process. When you are choosing the right tools for yourself, then you should consider making a detailed comparison of the tools. It will help you select the perfect ones for the web development process. 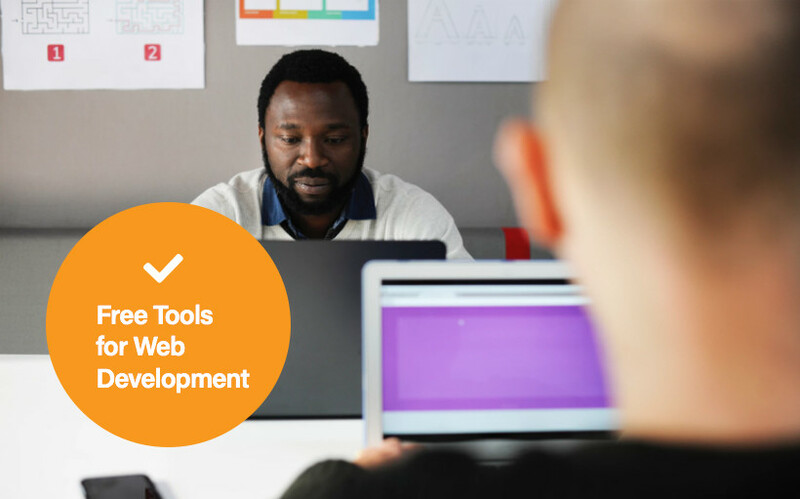 We have a list of 20 tools that you should consider using for the web development. Let’s have a look at all these tools so you can get a clear idea of how you can work with them. You should consider using Pingdom if you are a web developer. It will help you track the uptime, and downtime of the site. More importantly, you will be able to check the performance of your website. You can test the loading process, and it will help you monitor the efficiency of your site. If you are in the testing process and you want to test whether your website will be able to take a lot of traffic and load, then it can be the perfect tool for you. It is a free tool that you can use to test your website on multiple load levels. If you are working with the Firefox, then it is one of the best tools that will help you manage multiple things. It will quickly validate your XHTML, and it will help you inspect HTTP header information as well. Most of the developers are using this particular tool to generate 16×16 favicon image for the websites. This tool is the best way to create those images for your site. Basecamp is one of the most valuable tools for the developers who are working in a team. If you are working on a project, then it is the best project management tool that you can use in your project to share your ideas with the designers and other developers. It will help you complete your projects right on time. It surely is a great tool for the developers and will help you customize the web fonts. All you have to do is to pick the icons of your choice, and it will edit and customize them for you. Foundation is something which is created for the developers. It is a tool that acts as a blue print for responsive designs and helps the developer with the styling requirements. Another great tool for the developers and it will help you use the unprefixed CSS properties. Most of the developers love to use this particular CSS tool to get rid of CSS prefixes. Here is another free service from W3c and it helps the developers to validate the web documents. Validation of the web documents is the important step in the development process, and you can validate HTML, XHTML, and much more with this tool. Here is another great project management tool that you can use to manage your development projects with ease. You can communicate, share your ideas and create deadlines for the projects you are working on. It surely is one of the most valuable tools for the web developers, and without this software, you will not be able to complete the development of the website. Dreamweaver CS6 is used and trusted by many developers all over the world. Cloud9 IDE is the best communication tool for the developers. If you are working on a large scale project, then it will allow developers to edit the code at the same time from different locations. Adobe Edge Inspect is one of the best apps for the mobile developers. If you are in a design process, then this app will help you improve the design process. It is also a free app that you can use for improving the development and designing process. Many web developers are using this particular web development tool. It helps you get rid of the repetitive tasks that you have to do in the development process. Moreover, it is a free tool available for every web developer out there. Worried about the character validity? Well, this specific tool will help you get rid of the problems. You can look up and ensure all the characters are validated, so you do not have to every single line of the code. Are you testing your website on different resolutions? Well, this tool will allow you to take screenshots at standard resolutions that will help you verify the responsiveness of your web pages. It is another great tool which is perfect for the web developers. It will allow you to do a color reading from any area of your browser and will help you adjust the color quickly. If you are aware of the sprites, then you should know that it will help you increase the speed of your website. It will reduce the number of HTTP requests on your site, and will help you create sprites by combining all the images you will upload. Are you worried about the large image sizes? If you are concerned about this, then there is no better tool than Smush.it, and you can compress your images without facing any issues. Moreover, if you are using WordPress, then you will also find a plugin for it.